CBD is a non psychoactive compound found in Cannabis. It interacts with cannabinoid receptors located all throughout the body to mediate homeostasis, connectivity and healing. 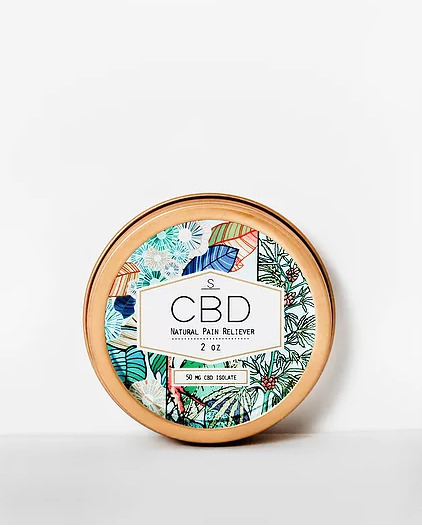 CBD Natural Pain Reliever is a protective shea butter moisturizer that carries CBD into your body through the skin helping to provide relief from pain associated with muscle aches, soreness, chronic joint pain and irritated skin. For maximum therapeutic effects it's made with arnica oil, and hard-hitting essential oils like black pepper, cinnamon, eucalyptus, ginger, peppermint, and wild oregano, offers a wide range of antioxidant properties, and can be used anywhere on the body. The CBD used in this product is derived from European-grown hemp and is tested for purity and concentration in California. Because it is derived from industrial hemp rather than medical cannabis plants - and to insure that there are zero psychoactive effects - our CBD is isolated from psychoactive THC or any other cannabinoids (CBD Isolate vs Full Spectrum) .